Jonathan Strange and Mr. Norell by Susanna Clarke has to be one of my top-five favorite books of the last 10 years. Published in 2004, this novel presents an alternate history of the early 19th century, one in which two magicians restore magic to England. Strange and Norrell, the two magicians, use their magic to serve the English government, mostly in the Napoleonic Wars, and they are hailed as heroes. But their use of magic has led them to interact with faeries, and faeries have a moral code all their own, and it’s not clear that Strange and Norrell are ready to face down a faerie. The story is much, much more complex than this simple outline reveals. Clarke has built a complete world whose borders expand beyond the covers of this book. And at nearly 800 pages, the book itself holds a lot. The story includes a large, Dickensian cast of characters with such evocative names as Drawlight, Childermass, Arabella Strange, Flora Greysteel, and Stephen Black. There are naval battles, a mad king, a never-ending ball, and the craziest cat lady I’ve ever encountered. It’s wonderful from beginning to end. But that’s not nearly all. Clarke makes brilliant use of footnotes to build on the basic story. Many of the footnotes include hilarious, frightening, or merely charming tales from the world of English magic. Others reference books that various characters wrote about the events. Others merely comment on the action. It’s incredibly well done and makes the novel feel authentic, almost convincing the reader that there really were once faeries in England and that scholars have been arguing about them for centuries. Before listening to the audiobook, I had already read this book twice. Bothtimes, I was completely swept away by it. It’s long, but I read it quickly. When a book is this absorbing, length is rarely an issue for me. There are some moments that are less exciting than others, but it’s never a slog. The audiobook is well-done, with great narration by Simon Prebble, but it’s less effective than the print version, particularly, I think, for the first-time reader. The novel has so many twists that it’s hard to keep up with the story on audio; I’m not sure I could have had I not already read it twice. Also, the footnotes prove to be a problem in this format. Each footnote is inserted into the story where the footnote number appears in the text, and each has its own track. Although this is probably the best way to add these crucial supplements, it was hard to stay immersed in the story when the longer footnotes appeared. Often, when the narrator returned to the main text, I had forgotten where he had left off. Still, I’d rather have the footnotes than not, and I can’t think of a better way to add them to the audiobook. Overall, I highly recommend Jonathan Strange and Mr. Norrell to anyone who loves books about magic, faeries, and England. It’s a treasure. But the audio version is perhaps best reserved for the most focused listeners, or for a second or third reading. 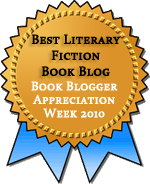 This entry was posted in Audiobooks, Fiction, Historical Fiction, Speculative Fiction. Bookmark the permalink. I found that the audio book actually resolved the problem with the footnotes. The way Mr. Prebble did them they were obviously the diversions from the text, the additions, that the author intended them to be and they were very entertaining. I supposed it might have helped a bit to have had the text on hand for reference, but this was not a problem for me. I also found, as I believe a number of others did as well, that listening to Mr. Prebble drew the listener into the book so effectively that it was very much like seeing a film, only more involving, as emotions, mood, and atmosphere were not only depicted effectively, but made felt. I felt that hearing it first was the clearest way to experience the book. Many people who were unable to get themselves to read all of it, had no such problem when hearing Mr. Prebble. Also hearing the book forces attention to all of it, where reading allows skimming. The twists were never a problem for me at all. I am definitely due for a re-read of this book. Especially since we seem to have a never-ending wait for the next book from Clarke! I have tried and tried with this book and failed every time. I was hoping when I started reading this review that the audio book might be the answer, but it seems that isn’t going to be the case. Interesting. I have this book but I do find it hard to read anything over 500 pages. I just lose the will to live, unless it’s a really tightly plot-driven novel, or very funny (and few books manage to be funny for 800 pages). I’d like to read it though. Maybe one day. I adored the book – don’t know how you’ve found the time to read it twice and listen to the audiobook though! I don’t think I could cope with the audiobook format for this one though. We have friends who were trying their best to make it through the audiobook and just couldn’t do it for many of the negatives you outlined above. Mostly they found the footnotes really jarring, and had a hard time figuring out where they ended and the main text resumed (not to mention remembering what had been going on before the footnote!). We have this one in print, though I haven’t dared to tackle it… I think that will be the way to go, however! long-distance driving, as my mum (nearly 93) lives almost 200 miles away and I’ve been doing the majority of my reading ‘by ear’. I’ve been surprised to find that after a few months, my memories of a ‘listened-to’ book are more visual than when I’ve used my eyes – to the extent that sometimes, I’m almost convinced I’ve seen the story on screen, even when it’s hasn’t been made into a film. I’ll have to see if I can order it from the library. I’ve seen this book around and it sounds very interesting. Adding it to my never-ending list! I loved this book. I also enjoyed the footnotes greatly, and think a reread would be a great idea. Not sure if I could listen to it though; I don’t seem to be able to listen to audiobooks very effectively. Somehow I can’t get the knack of listening to a story. I need to read this book! I’ll definitely read rather than listen to it — I can see how listening to the footnotes would be difficult. With a book it’s easy to backtrack a bit to remember what was happening in the main text and then to move forward again. I love it when novelists use footnotes well, and I’m glad to know this one does! Eva: Possession was a great reread on audio. I’m not sure how I would have fared had I listened to it first, but I don’t think I would have found it as confusing as JS&MrN might have been. Kristen: Oh, I’m longing for a sequel. Have you read Ladies of Grace Adieu? I understand that it has a couple of stories from this world, but not being a short story fan, I haven’t gotten around to reading it. Ann: If you’re a more focused listener than I, you might find that the audio works as well for you as it did for Fan. But if you’ve tried and tried, it’s also possible that this just isn’t the book for you. The plot takes lots of turns, but the tone and style don’t change much from what it is in the beginning. Litlove: I rarely have trouble with long books, but they do have to earn their length. There is a lot of plot here, enough for several books, so it might be enough to keep you going. Annabel: A book this wonderful is worth carving out time for. Actually, the second read was on an airplane trip, and the audiobook was during a car trip, with some spillover into my regular drive to work, so it was easy to fit it in. Steph: Yes, I often lost track of the fact that I was in a footnote, especially since some of them are so long, and the main text itself is rather meandering (but gloriously so). I’m pretty sure I couldn’t have followed it at all on a first read. Christine Coleman: It is an excellent audio production—quite well done. And it appears you’ve got the knack for listening that I haven’t quite managed. Rebecca: It is wonderful and well worth adding to the list. Melanie: The book does stand up to rereading, and the footnotes are even more interesting the second time. For audio, though, I’ve found that simple stories work best for me, although rereads of books like this one are usually okay. Dorothy: Exactly! Print allows for backtracking when needed, and if you’ve managed Infinite Jest’s endnotes, these will seem like a breeze. I had such a difficult time with this book; to the point where I can’t imagine re-reading it any time within the next decade (I first read it about 2 years ago). I found the story to be so incredibly thick that it discouraged me. I appreciated the characters and the fabulous tale that Clarke was weaving, some of the fantasy seems (like the ball) were amazing. But there were times when I was so mired in neverending words and footnotes that I wanted to cry. Like Lord Foul’s Bane, I pushed through Jonathan Strange, but not with pleasure for the majority. I am glad you liked it though! thecrowdedleaf: It is a thick story, but I like thick convoluted stories, so it was right up my alley. But I can totally see how it wouldn’t be everyone’s favorite thing :-) I’m with you, though on Lord Foul’s Bane. I gave up on it about midway through, not so much because of the story but because I loathed, really loathed, the main character. Yes, I did read The Ladies of Grace Adieu. It’s a nice little collection of stories but nowhere near as satisfying because there’s no depth. That’s what I liked about the novel – the sheer size and depth. A friend pressed this upon me a couple of years ago, I received it reluctantly because I “don’t like fantasy”, read a few pages and gave up, but took it along on a long airplane trip and was enthralled. The footnotes and their convincing (pseudo) scholarly tone were hilarious–that footnote about the Virgin and Child solemnly turning their stone heads to report “It is not him” still makes me laugh. My second read of this was on an airplane, and I got a lot of comments about how it just didn’t look like a proper airplane book (I was traveling with a large group, so they all knew me.) But it was perfect for the plane because it’s so absorbing. And weren’t those footnotes strangely convincing?